Who wouldn’t love free electricity? I would love to live completely off-the-grid and not have to worry about the rising electricity costs. It would also be a nice feeling to know that if the SHTF one day, we would still have power… If you live by a source of running water, one option for electricity generation is a water wheel generator. I think a lot of people assume it needs to be a fairly sizeable source of running water, but if you watch the video below, you will see a water wheel generator built, running, and generating electricity from a tiny creek. 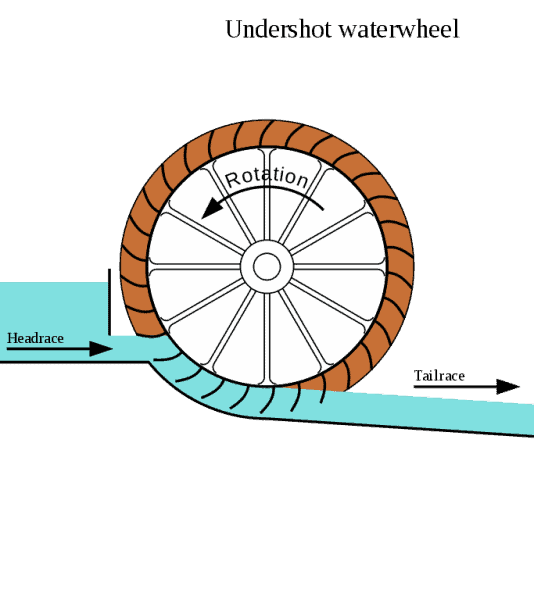 With a water wheel generator, electricity is generated when the flowing water runs through the water wheel, and makes it spin. It is exactly the same principle as the old dynamo lights we used to have on bicycles, back in the day, where the electricity was generated by the revolving wheel. As I remember it used to make stopping at lights interesting, as no revolving wheel equaled zero electricity, and zero electricity equals no bike lights! Here is a link to a tutorial on ‘Build It Solar’ which shows how to build a DIY water wheel generator from mostly recycled parts, making this and affordable DIY project if you can source the recycled parts required to build the generator. Additionally using recycled parts also allows you to source free backup, replacements part to stockpile and store in case an existing part fails. It also includes a FREE PDF with the build instructions, that you can download and print out. If you are lucky enough to have running water on your land, this would be an awesome project. 1 Below is an excellent video from ‘Off Road/Off Grid’ detailing their DIY water wheel generator. 2 Below is an undershot water wheel, similar to the one used for the ‘Build It Solar’ DIY water wheel generator. 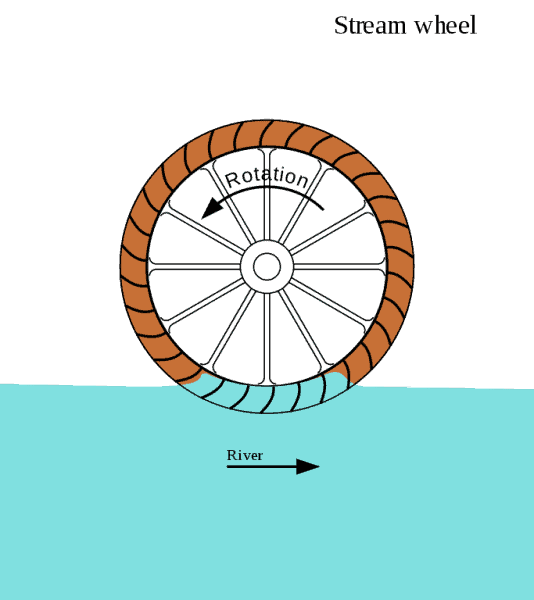 4 Below is an example of an overshot water wheel. Below is an excellent video from ‘Off Road/Off Grid’ detailing their DIY water wheel generator. The ‘Build It Solar’and the ‘Off Road/Off Grid’ DIY water wheel generators are just two examples of water wheel generators. There are several different varieties of generators that utilize running water sources in different ways. Basically, the running water still turns the wheel on each model, but the wheels are positioned differently in the running water. There are ‘stream’, ‘undershot’, ‘breastshot’ and ‘backshot’ water wheels to choose from… Here is an excellent explanation of each type of water wheel, together with pros and cons and efficiencies etc. Below is an undershot water wheel, similar to the one used for the ‘Build It Solar’ DIY water wheel generator. 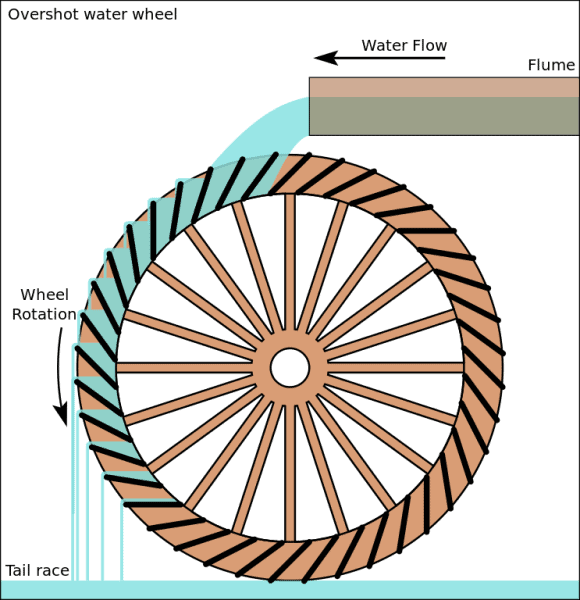 Below is an example of an overshot water wheel. Here is an awesome 35 page PDF instruction manual on how to make a low cost hydroelectric generator, in a 5 gallon bucket. I’ll be honest, it is not the simplest thing in the world to build, but if you are competent, technically minded DIY-er , this shouldn’t present too many difficulties.